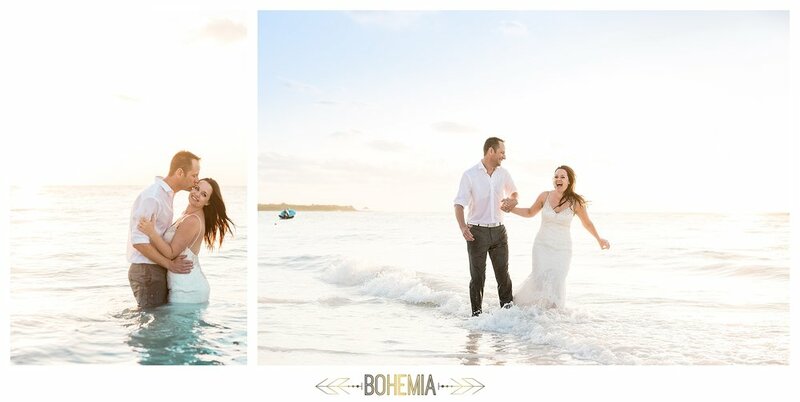 Would it be vain to fall in love with your own photo session? Don't answer that. 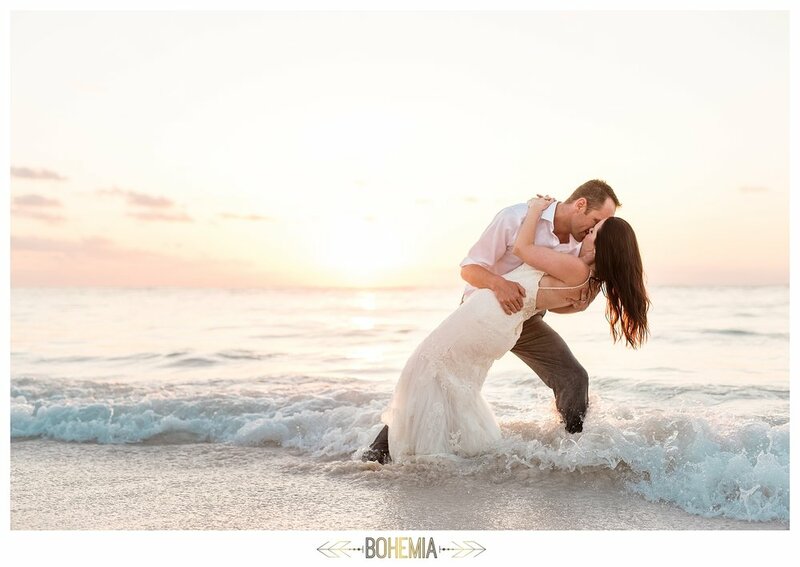 I credit beautiful Gena and Christian for this gorgeous sunrise trash the dress and underwater session we did two days after their destination wedding. I loved it so much, I decided to blog this first and the wedding later (although I loved that too). Let's set the scene: The day after their awesome wedding with sore bodies we cleaned our gear, backed up their wedding photos, oiled and dusted our underwater housing (a must), went shopping for breakfast to bring tomorrow, packed and tried to get to sleep early. Four o'clock in the morning came fast and to be honest, I'm a night owl not a morning person. But I'll happily get up early to do what I love. We picked up Gena and Christian and headed to the beach! We were greeted by the two local beach dogs (who always show up in my sessions there) and the sun was just starting to come over the horizon. We had a fabulous 2nd day with these two, having a picnic breakfast on the beach before heading to our favorite cenote that we reserved privately. After a long day of water fun, we dried off and took them to our favorite restaurant, La Cueva Del Chango for lunch. It was one of the best days of my career, and I'm so grateful for having met these two. Congrats again Gena and Christian, we hope to see you again!